Here is a fact that some will find hard to swallow: GM’s Oldsmobile division was once the number-three best-selling brand of car in the United States. Given Oldsmobile’s consumptive decline and sad demise at the dawn of the 21st Century, it’s hard to imagine a time when Oldsmobiles not only sold in vast fleets but were very far indeed from the sad sack Oldster Mobiles they degenerated into during the final years of badge-engineered blandness and Rental Car Specials. In its heyday, the division offered high class and Cadillac-level amenities in a more discreet package, along with a dash of exuberant performance comparable to Pontiacs. This winning combination helped make Oldsmobile one of the most appealing – and successful – brands of the ’60s and ’70s. The Vista Cruiser is arguably the ur wagon of the mid-late Neolithic period in American automotive history. There were others, yes. But for Gen Xers born between the mid 1960s and early-mid ’70s, Oldsmobile’s glorious nine passenger battle barge – with its signature multi-paneled glass roof section – is an icon of their growing up years inextricably bound up with memories of “The Brady Bunch,” The Kiss Army and bell-bottom corduroy Levis. A mastodon like the Vista Cruiser as family transpo is almost not believable to those who didn’t experience it first-hand. Not only was it rear-wheel-drive (unlike virtually every modern family car, most notably the soul-killing minivan) it offered features and equipment no mewling minivan ever dared dream of – including heavy-duty manual transmissions and, of course, Oldsmobile’s mighty Rocket V-8 engine. Cup holders did not abound. Seatbelts were few. Child safety seats nonexistent. It was a marvelous moment in the life cycle of America. An era when mass and metal mattered more than crumple zones and traction control. A time before the Mom Movement – which spawned the minivan, among things – and gave us a culture that demands even eight year olds be cinched tightly into booster seats like miniature Hannibal Lecters instead of being permitted the joy of rolling around like loose cordwood on the spacious and shag-carpeted floor of an avocado-green Vista Cruiser. The Vista Cruiser came to life in 1964 as a wagonized version of the mid-sized Cutlass – and was actually second banana, size-wise, to the 88-based Dynamic wagon (as well as the later Delta 88-based Custom Cruiser). 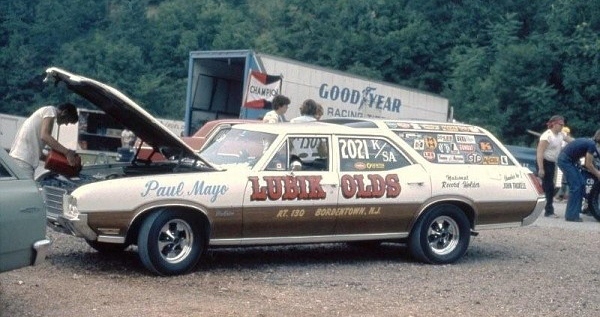 However, when the Dynamic 88 wagon was discontinued after the ’66 model year, the Vista became Oldsmobile’s family truckster flagship and would become the best-known and longest remembered of the species. As for the trademark Vista roof: It was reportedly inspired by the post-war Greyhound Scenicruiser bus – which had a Vista Dome glass roof over the rear two-third of its length. The idea was to afford riders a panoramic view of their surroundings and also to give the interior of the bus an airy, open feel. General Motors’ GMC truck arm was also building the Scenicruiser busses in the ’50s and eventually the concept migrated to GM’s passenger car studios. Rocket Power – in the form of Oldsmobile’s 330 cubic inch V-8 (rated at 310 hp) was the early VIsta Cruiser’s first motive source. Many modern readers will be surprised to learn that in addition to its Jetaway two-speed (and later THM400 three-speed) automatic transmissions, Oldsmobile also offered both three and four-speed manual transmissions (the latter “on the floor”) in the Vista Cruiser – a feature as foreign to the mindset of the late-model minivan as lawn darts for next season’s Christmas presents for the kiddies. Just imagine it: A family wagon with a 310 hp V-8, rear-wheel-drive and a clutch. Yes, you could get a limited slip axle, too. Just the ticket for towing a boat – or leaving a twin-patch Firestone tattoo on the pavement. If you were a Dad, it wasn’t half-bad. And if you were a teenager borrowing Dad’s ride, it was even better. In addition to its performance potential, there was room for half the football team – plus their dates and a keg. GPS? iPod hook-up? Music storage hard drive? No sir. In those days, the car kept you entertained. Distracting gadgets intended to make you forget about what a loser-mobile you were stuck with weren’t necessary. The 8-track kept the Bee Gees humming – and if you needed company on a road trip, the Vista’s optional Delco-Remy CB radio was there for you. In ’68, a second generation Vista Cruiser made its debut. It rode on a new, longer 121 inch wheelbase, boasted 20 more standard cubic inches under the hood (350 Rocket V-8 in either 250 hp 2-BBL or 310 hp 4-BBL versions) and offered all-new cosmetics based on the also-new and very handsome ’68 Cutlass. The ’68 Vista Cruiser was more fluid-looking, with gently bulging fenderwell arches pressedinto the metal, an entirely new front end with vertical slatted grille and a smoother-looking bumper that appeared almost form-fitted to the nose rather than the bolted-on look of the previous generation. The rear bumper also “tucked in” gracefully – rising from the car’s underside, with integrated bumperettes that rose on each side to meet up with the vertical tail lights. Another big change was to the design of the trademark Vista Roof. The main glass section was now a single piece and the greenhouse effect was magnified by even larger sheets of side glass. Luckily, in those days, Freon was still the basis for AC systems and GM was still using its industrial-scale Harrison compressors. Those things drew so much power to drive them that you could literally feel the engine stutter momentarily when you flipped on the AC and the compressor clutch engaged. Nothing frosted the vents like GM’s Freon-based Harrison AC systems of the ’60s and ’70s – even if it did cost you another couple of MPGs. But, who cared? Gas – the real stuff, leaded regular – was under a buck per gallon in the late 1960s. Another cool Vista Cruiser touch was the Dual Action tailgate, which folded out sideways as well as down. It could serve as a an additional riding platform in the days when no on thought twice about letting the kids sit there as Mom & Dad motored down a gravel road to the dock. Or perhaps an impromptu picnic table. Also memorable were GM’s power windows of the time, which zoomed up like mini guillotines and had no safety stops of any kind. Kids had to pay attention – or let their fingers suffer the consequences. Buyers could even equip their truckster in 442 trim – including both the 400 cube and (later, in 1970) 455 cube Rocket V-8s. The 455 belted out 365 hp and tire-melting torque; hi-flow Quadrajet four-barrel and dual exhausts were included. The 442’s dual-scooped, fiberglass and hood-pinned hood bolted right on, too. Such equipment made highway trips memorable – and anyone who lived through such an experience will never accept the wretched FWD and traction-controlled substitutes foisted on the modern family. 1972, unfortunately, would turn out to be the final year for the raised-panel Vista Roof. The ’73 restyle was probably motivated, at least in part, by roof crush standards that were being talked about in Washington. Though never implemented, these had a chilling effect on vehicle design – killing off most convertibles by the mid-’70s and forcing into the pages of automotive history such features as the Vista Roof. Beginning with the ’76 model year, the Vista Cruiser became plain old Cruiser, sans “Vista” in name as well as fact. From this point forward, the Delta 88-based Custom Cruiser would carry the flag. This was also the first year for square headlights – four of them, stacked side by side, with single integrated turn signal/parking lamp “bar” underneath each pair. On the upside, the 455 stayed the course through ’76 and the Cruiser itself was still a most impressive land yacht. Its 114-inch wheelbase was down about half a foot, but this was nonetheless a big ride even its time – and absolutely huge in ours. GM tried to retain at least the spirit of the Vista Roof, too – by designing a pop-up sunroof as an available feature. But change was rustling in the air and within a few years, even the memory of the Vista Cruiser would disappear into the morass of GM’s ill-advised downsizing pogrom – which culled RWD and V-8s in favor of unibodies, four-cylinders and front-wheel-drive. The Vista Cruiser and Custom Cruiser gave way to the Ciera and Firenza wagons – pitiful things that an Old School Vista Cruiser might have carried on its roof racks to the dump for recycling. * The head of GM’s Body Development Studio, Ray Koenig, gives credit for the Vista Roof to stylist Pete Wozena. * The ultimate performance Vista Cruiser was briefly offered in 1972, when a handful of Hurst-modified versions were built. These cars featured a heavy-duty drivetrain whose centerpiece was a high-performance Rocket 455 V-8. * Later Vista Cruisers (and Custom Cruisers) were sometimes powered by the Oldsmobile-built 403 V-8, an engine that was also used in many mid-late 1970s Pontiac Trans-Ams. * An Oldsmobile ad for the ’69 Vista Cruiser featured George Plimpton and urged prospective buyers to consider a “youngmobile” like the Vista Cruiser. * The Vista Cruiser was actually slightly smaller than the Delta 88-based Custom Cruiser that first appeared in 1971 and ran through the early ’90s. As the East Coast co-president of the GM Skywagon Club, I have to say that (with a few minor glitches) the article was very well-written. 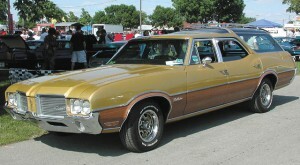 The Colonnade body style was around until 1977 complete with the Vista Cruiser badge. In 1978, the Cutlass Cruiser took over. In 1991, GM brought back the Skywagon in the form of the Custom Cruiser and the Buick Roadmaster Estate. The Olds version only lasted 2 model years while the Buick soldiered on until 1996, being the last full-size, RWD conventional wagon made in the U.S. (along with its non-skylit companion, the Chevy Caprice). Gas was under a buck a gallon in the late 1960s, you say. That’s right – more like under 30¢ a gallon at that time. 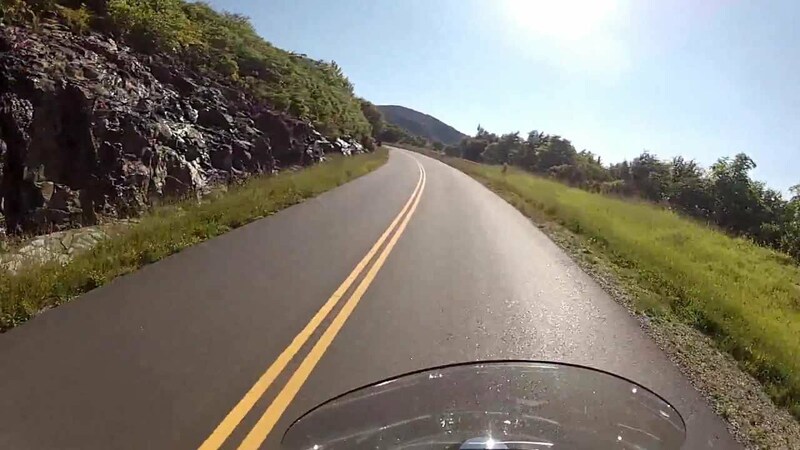 My first ’69 Vista Cruiser (I have owned 3 of that year since 1982) had the optional 350 cid with a 4-bbl carburetor and a whopping 10.25:1 compression ratio (the high-level 400 cid had 10.5:1), and the gas cap read, “IMPORTANT – PREMIUM FUEL ONLY” – that was also not much more than 30¢ a gallon at the time. Imagine filling up a 22.5-gallon gas tank with “ethyl” for less than $7.50! Thanks Bill – and, great avatar! that’s my car pictured there… still have it. 51K original miles and completely rust free. Nicely written article. Chicago was a big Oldsmobile market back in the day. The last of breed early 1980s 88s and 98s can still occasionally be seen in daily service, including the wagons. I see wagon in someone’s driveway when I go out bicycling that by all appearances is a daily driver. I know a particular Delta 88 that was a victim of attempted theft TWICE in the late 90s. A car pushing 20 years old was still desirable enough to steal. Trips to the u-pull found almost all the fullsize olds with either the steering column sold or it smashed from attempted or successful theft. I think at some point inflation will make CAFE penalties moot. The question is what will people’s prosperity be like when that happens? That will determine if the big cars will again roam the USA in great numbers. About two years ago I had a chance to buy a well-kept/all-original 1975 Caddy Fleetwood in chocolate brown metallic. The only reason I didn’t was lack of garage space! Gotta take care of that…. As a guy who was around when the 64 Vista was new, I remember those times very well. I actually own one now although at $4.50/gal in Los Angeles, I rarely take it out anymore! Listen, in the 60’s, never mind gas being under a buck a gallon! It was under forty *cents* a gallon and rarely over 34 cents for that matter. Tearing up the Interstate on 50 or 60 gallons of gas was pocket money, no big deal at all. Boy… those days are over. But at least I was around in time to drive some of these cars when they were still plentiful as “old beaters.” Also, in the ’70s and ’80s, there were still some decent large cars being made. But you’re right – those days are gone forever…. Your nostalgic Vista Cruiser review, is fantastic. Your writing skills are incredible. Thanks for painting the real picture, with such vivid words. Every sentence a treasure trove of insight. How do you do that, Mr. “Eric”, thats a real gift of words. Everything described so true! We are really missing out nowadays. Hope we can bring it all back somehow. One thing strange, those Vista Cruisers did not stand the test of time. They all rusted away, be a rare item to find in one piece now. C ya. Yes, you’re right: Rust was a major problem with cars of that era. The metal just wasn’t protected like it is today and the bodies tended to have many areas that were prone to collecting dirt/moisture, which accelerated the process. Also, cars like the big wagons were considered “just cars” when they were new, so very few were protected and preserved like, say, an early Mustang or Camaro. That’s the other reason why you don’t see many big wagons from the old days in one piece today.